The Royal Society for the Prevention of Accidents provides research that states that over 4,000 children under the age of 15 are injured yearly from unsecured windows, which they fall out of – with 2,000 of these accidents involving children under 5 years old. 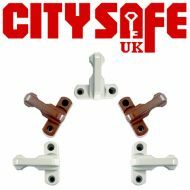 Here at CitySafe UK we have a small yet effective and extremely affordable solution – our range of Window Locks (Sash Jammers). 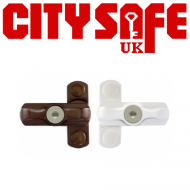 They offer a quick and low cost addition to home security, and are available in white or brown to match the uPVC frames of your customer’s door or windows.